I am always nervous when it comes to anything food related events. As a fashion blogger I always wants to look casual chic. Once I arrived at the Ling Ling Event in Los Angeles, CA event I was invited to a full covered apron (as a gift). They separated us in teams based on their different flavors such as: Yakitori ChickenYakiniku Beef, and Chinese-Style Vegetable. I loved my team so much because we knew exactly who was a pro at what while preparing dinner under those easy time sensitive tasteful recipes! See below which flavor I decided upon based on my family's taste palette. Beef is a favorite choice in my household. I cannot tell you how many times Chris and I have had to partner-up with what to cook, how, when, and assuring our picky toddler will eat most of his plate. Chris is great at slicing up the vegetables, and I am expectional at the frying process. I strive on presenting our family dinner in a tasteful artistic manner. While at the event I learned a new cooking method known as 'Infusion Cooking.' 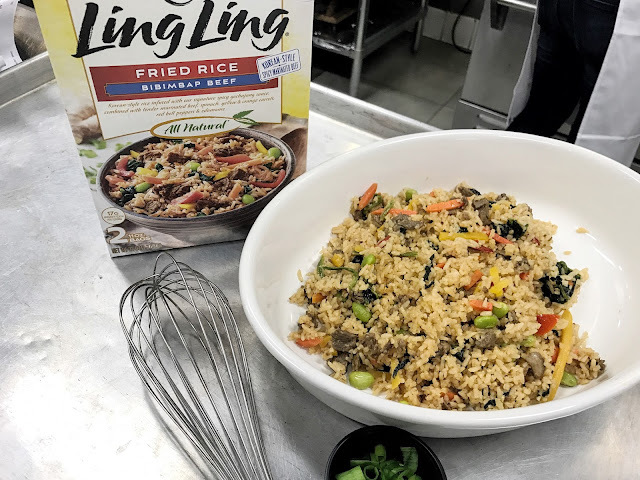 For example, every single grain of rice has been infused with Ling Ling signature sauces . 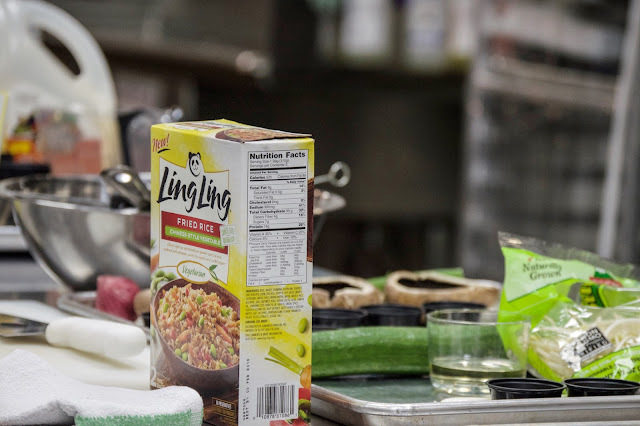 Ling Ling delivers superior flavors and flavorful palettes. After the instructed recipe Chris and I felt as though we did not need to go out and spend the unnecessary extra money when we could have a declines and healthy recipe made at home. We are fans of that “Going out to dinner experience" but at home. My favorite part would have to be, hearing the voice behind the brand. 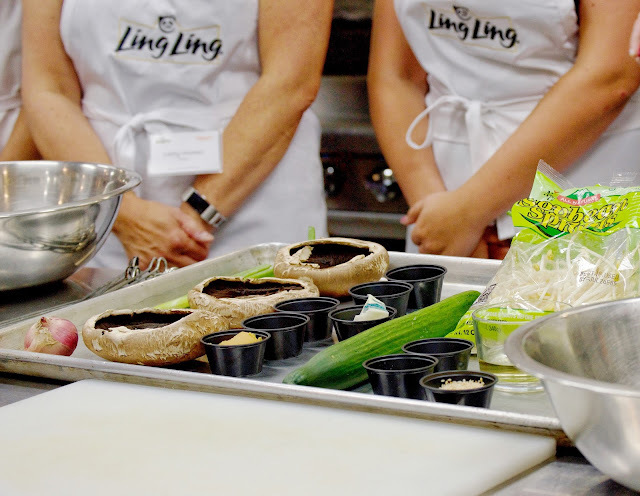 Chef Katie Chin was a passionate, grounded, sweet, talented, and social butterfly. I am highly grateful I had the honor of meeting her. I have a few friends and family that asked to borrow my Katie Chin's Everyday Chinese Cookbook.